Yes, We know: every website, every brochure, every advertisement says the same thing. However, We can defend our statement and you will see that Cairns is the best place to learn how to Scuba Dive. Everyone has their own reasons for considering becoming a certified scuba diver. Where they learn is often driven by a number of factors. The vast majority of new divers learn how to scuba dive while on a vacation. It might have been a spur of the moment decision based on a long held desire. You see an offer for a resort dive, maybe a free one offered by some of the snorkeling tours, give it a try, and are totally hooked. That evening after dinner, you start reading the material for your first dive training the following day. Many times it was a part of your vacation plans already. The location of your vacation took into consideration that dive training was available. Or the other way around, you made your plans and then thought, it be a great time to finally get certified. Why Cairns Is The Place To Learn How To Scuba Dive. Cairns is a great location for a vacation, it is a diverse location. If you want to be immerse in the sun and sea then of course, we have that. However, if you want a vacation with a variety of activities then we are perfect for you. Setting aside the water for a few minutes, you can head inland to some outstanding outback action. Take a scenic train ride high into the mountains and feel how it must have been a hundred years ago. Drop 14,000 feet from a perfectly good airplane. What a rush. For the diving, we have some of the best diving and best dive sites in the world. Many divers dream of diving our dive sites. The best diving of course attracts the best professional instructors. PADI and SSI are well represented, as are some of the other leading certification organizations. Why not start with the best. Land Based Or Live Aboard Training. Liveaboard dive boats are a great way to learn how to dive. 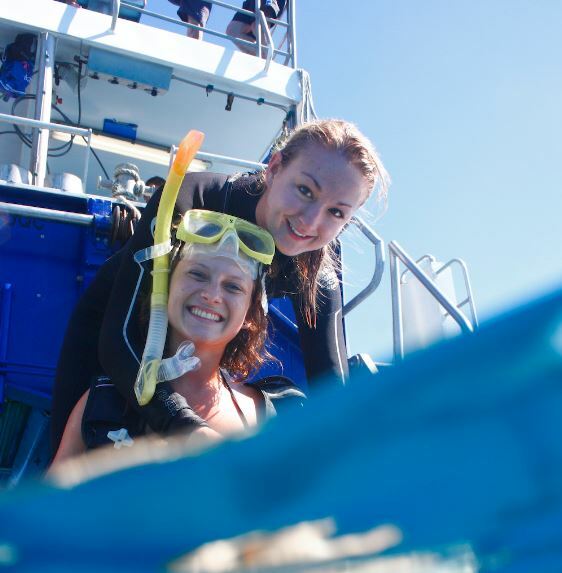 In most locations around the world the live aboard dive boats are week long sailings. Often some of the sites they have available will not be suited for a newly trained or in-training diver. A new diver may feel overwhelmed being immersed into diving for so long. Cairns has a high percentage of three and four day live aboard boats, something not found anywhere else in the world. So in a weeks vacation, the diver can learn how to scuba dive on a live aboard for four days and then spend the rest of the week adding other activities to the vacation and a few more dives. 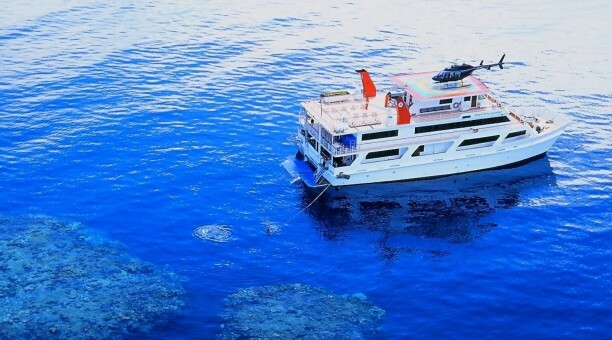 Cairns even has a floating luxury boutique hotel in the live aboard Reef Encounter. It is a sort of come any day live aboard. Guest can join the vessel on any day either by flying out in a helicopter and landing on the Reef Encounter’s helipad or join by means of a day trip vessel that meets the Reef Encounter daily. If you are traveling with others who are not Scuba divers or want to learn how to scuba dive, then a land base training program might be best for you. Still this is an outstanding option. You will do your training dives out on the Great Barrier Reef diving dive sites like those on Hasting reef, diving from one of the many outstanding day boats, returning each afternoon. With all of these items to consider plus many more, we stand by our claim that Cairns IS the best place to learn how to Scuba dive.